Nestled in the heart of the Texas Hill Country is the city of Burnet — the bluebonnet capital of Texas. 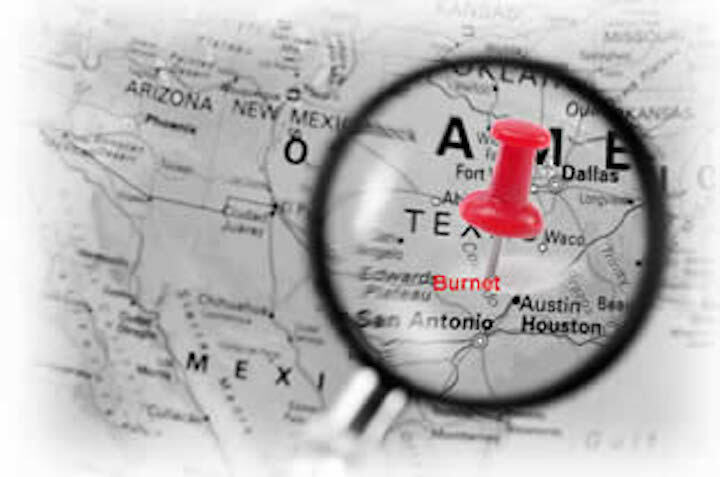 Burnet is not a newcomer on the Texas map. The origins of the town date back to the mid-1800’s. The town was established in the shadows of Fort Croghan, a post established by the US government to protect settlers from Indians along the Texas frontier. On a recent road trip through the Texas Hill Country, my wife and I arrived in Burnet just in time for lunch. Hungry for a burger, we asked the manager at our hotel for his recommendation. He told us that Burnet actually had two amazing burger joints, both of which just happened to be featured on the front page of that day’s newspaper. 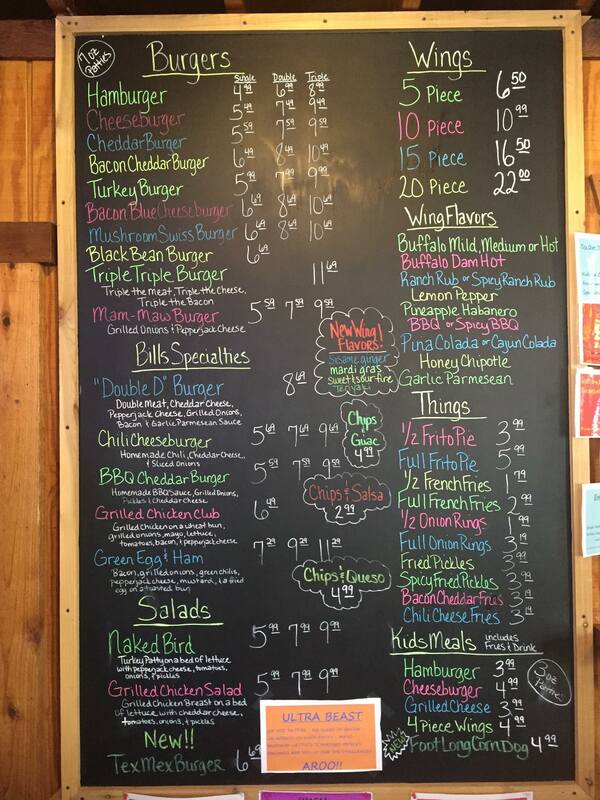 After reading the news article we decided to head over to Bill’s Burgers Wings and Things, the local joint that had made the Texas Monthly top burger list. The restaurant is housed in a modest little building with ample parking. The first thing I noticed when we walked in was the huge menu displayed on the wall. So many great options, but I zeroed in on my favorite — the bacon cheddar burger with a side of onion rings and a cold glass of iced tea. My burger arrived in a paper boat along with a jumble of some of the best-looking hand-dipped onion rings I’ve seen in a while. Everything looked absolutely scrumptious (a reader challenged me to use this word in my next review, so here you go). As always, I cut my burger in half to look at the strata (as if I were some kind of burger geologist). The moist hand pressed hamburger patty and fresh lettuce, tomatoes, and pickles did indeed look scrumptious! The first bite generally tells it all for me. And this first bite did not disappoint. Wow! 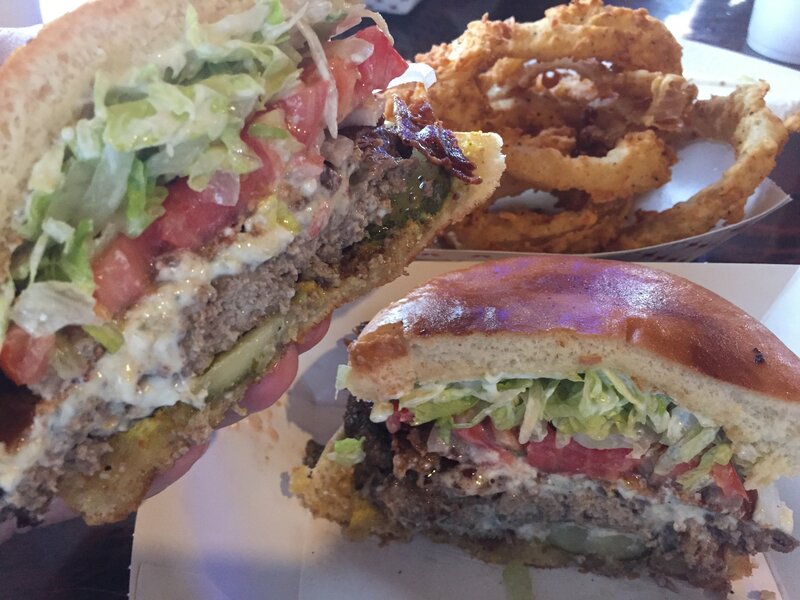 Moist and perfectly seasoned, this burger immediately impressed me. I told my wife that I would drive back to Burnet just to do this all over again. As for the onion rings, there are no words. Cheryl told me that these were the best onion rings she has ever tasted. I have to agree. They were oh so delicious. Bottom line: this burger definitely ranks among the top burgers I have eaten on my burger adventures in the Lone Star State — and I’ve tasted a lot of great burgers on my road trips. 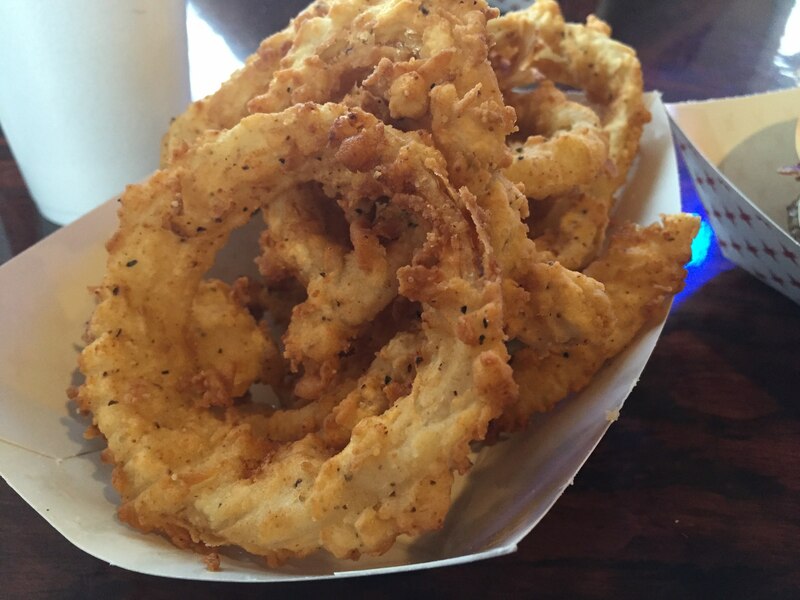 The onion rings are also at the top of my list. It’s experiences like these that have convinced me that eating a fast-food burger is not the best use of a buck. If you’re going to spend the money anyway, then look for a burger joint like Bill’s. You will certainly get more bang for your buck. 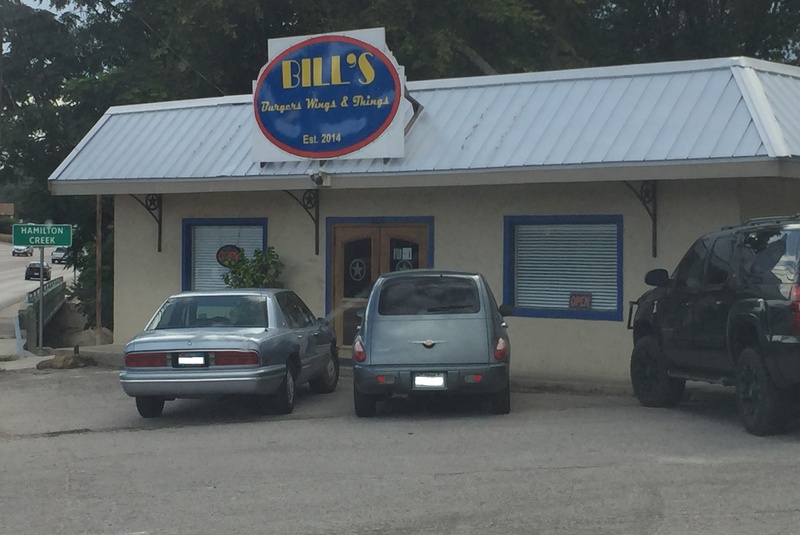 This entry was posted in Places To Eat and tagged Bill's Burgers Wings and Things, Burger Joints, Burnet Texas, Hamburgers. Bookmark the permalink.